Mobile-first, Responsive, HTML5: Although these features have been available in previous Drupal versions, it is now default with Drupal 8 sporting an entirely responsive interface. Multichannel, Dynamic Content Delivery: Which make geeks and clients both happy. This allows for delivery of content “as a service” to any site, device, native application, or emerging channel with RESTful APIs. Front-end Flexibility: Embraces client-side frameworks like Ember.js, Angular, and Backbone so front-end developers can get creative with experience delivery. Enhanced Usability: Offers a reimagined, easier-to-use authoring experience, with a new editor tool and streamlined in-line, in-context authoring. Faster Development: Introduces an object-oriented (OO) web development framework including components build in Symphony - a highly popular PHP framework used worldwide by thousands. For you, the client, this new version introduces over 200 breakthrough features to help us deliver the right experience for you and your audience. Enjoy fewer clicks to edit your content and it's easier than ever to manage that content no matter device you are using, in-context, what-you-see-is-what-you-get (WYSIWYG) editing and previews. For viewers of the content, they'll enjoy a quicker response time, a streamlined dynamic interface, increased multilingual support with full translatability and localization out of the box, greater accessibility for those who may be visually impaired, and greater security protection of your site and files. Learn more about Drupal 8 here. Do I Need to Upgrade my Drupal Site? If your site was built with Drupal 6, then you should consider an upgrade. Drupal 6 came out in 2009 and with website-years almost equalling dog-years, 6 years was a long time ago. If you're on Drupal 7, you are already on a very stable platform and we feel there is no need to upgrade to 8 at this point, however, as always it's important to keep any version of your CMS site up to date as much as possible. 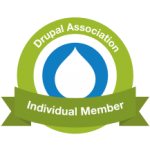 For more information, see our article on: Drupal 6 Support to End in Feb 2016. Contact us and we'll be more than happy to inform you as to why this modern content management system is not only an incredibly attractive choice for you, but ultimately the right one.